Thought the news of 3 albums deserved its own thread. First album is titled "Big Colors". How quickly this will be released is anyones guess. Hopefully as it has Blue Note/ Capitol distribution it will be released in the next few months. Would love to see a surprise release but Im not so sure it will happen quickly. I think for an artist like Ryan they will want a good bit of publicity and build up. Plus they will want to do pre orders on six different lp colors from various different retailers. Last edited by fr79; 01-08-2019 at 12:24 PM..
yeah someone commented how he mimics album art a lot. Now this is very exciting. Not bothered about the recent stuff from the vaults but something new is great. I've got my "cautiously optimistic" hat on now... I'm hopeful, very hopeful this will happen. Hell, I'll be happy with two albums, but let's go all out. Let's do this! And yeah, that trilogy back in 2005... man, that was a good year. This is a promising development - as a huge Springsteen fan who loves Nebraska I certainly hope it follows in a similar, stripped down model. Man, that looks great. 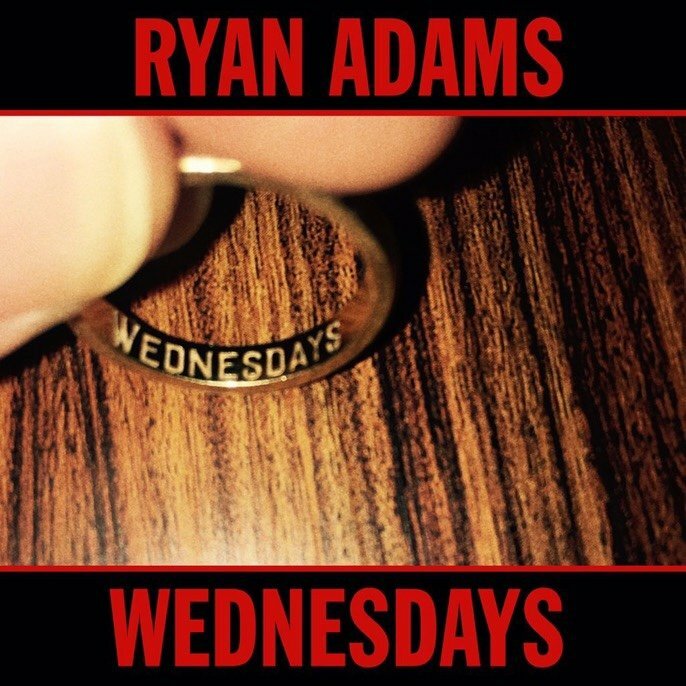 A Nebraska Ryan Adams album. Hopefully it will be three different sounding records. The tweets also suggests that Don Was and Benmont Tench were involved in this record. Could it be the second Glynn Johns album? Last edited by Electricityscape; 01-08-2019 at 02:53 PM..
Not sure what I think of that Wednesdays sleeve. Doesn't look as polished as Big Colors. Doesn't look like final artwork but I don't know. I see the Nebraska similarity, if it has that sound then I agree, that would be great. could the infamous Blackhole be next? This tweet made me giddy. I love how I have to log out of twitter before clicking on these links. I just saw this too. I’m surprised the release date is that far out but at least we have a date finally! Last edited by Knotnow; 01-09-2019 at 06:10 AM..
Oh man. When this was first announced, I threw out my typical "yeah, okay we'll see" response. But yesterday I became hopeful for the first time in a long time. I knew So Quiet, It's Loud sounded really familiar! But then I convinced myself I was thinking of "So Hot, So Cold".